Before BBC Radio 2, there was the Light Programme. Fifty years ago, on Saturday 30th September 1967 to be precise, the Light Programme was renamed Radio 2 and a new upstart, Radio 1, was born. But for those who remember it as it was originally broadcast, the Light Programme has a special place in their hearts. 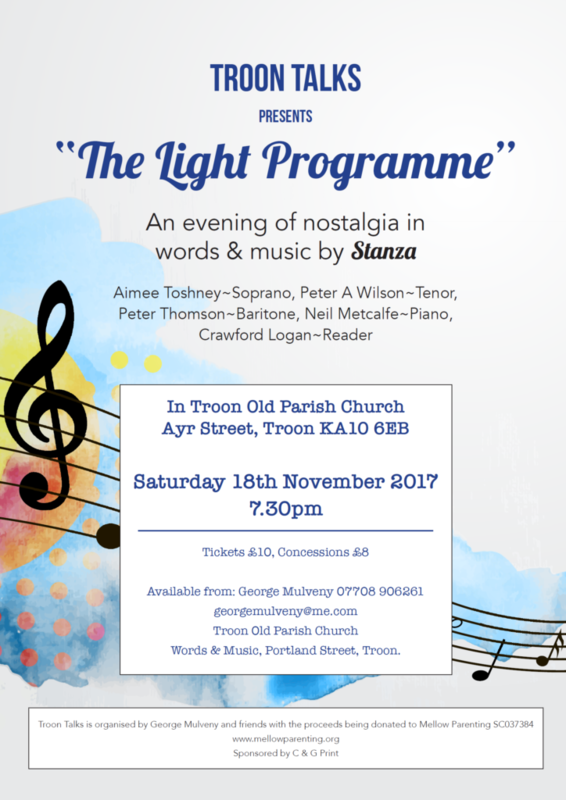 So this evening of nostalgia in words & music is the perfect way to let the years roll back and to enjoy an altogether simpler world of entertainment, performed by a very talented group of professional actors. It’s all organised by our friend George Mulveny in aid of the charity Mellow Parenting (www.mellowparenting.org). Tickets priced £10 and £8 (concessions) are available from George Mulveny, Words & Music and the Church Office.